I guess it's been long overdue. I've memorized a number of Korean songs my sister listens to (she's a Kpop fangirl). 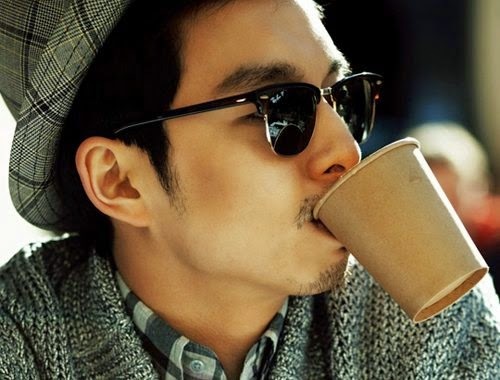 I've watched countless Korean dramas, movies and reality shows. Can you tell that I've been hooked? Haha! Of course, all of them made me curious about the Korean culture. Though it isn't really in my travel priority list, I know time will come that I'm going to set foot in this country. I just never thought it'll be on Spring this year! Effective 1 March 2015, Korean Embassy has announced some major modifications on their Tourist Visa Requirements. At first, I thought it'll be a drag but after going through the actual process, I realized that it wasn't so bad. I guess by now you have already heard about the latest news on the new visa application procedure. Effective July 1, 2018, visa application will now be processed through designated travel agencies only. Yup, we can no longer go direct to the Embassy to apply. But the good news is, there are no changes in the requirements! You may still submit the documents enumerated below. Fully-accomplished Visa Application Form. Just follow all the instructions on page 2 of the Application Form. Put N/A for those that are not applicable. 1 piece Passport size colored picture. It should be taken within the last 6 months. Original & Photocopy of valid visa/s and arrival stamps to OECD member countries for the past 5 years (If applicable, and Korean Visas will not be counted). You may check the list of OECD member countries here. Original Certificate of Employment (must include applicant's position, date hired, compensation, office address, HR land line number (cell-phone number is not allowed), HR e-mail address). In our company, it takes at least a week to get a COE. Check on yours, so you will know how much time you'll allot before your desired date of application. Original Personal Bank Certificate (must include account type, current balance, account opening date, ADB) I had no problems getting all these accomplished with BPI. They charge Php 100 for bank cert. It will be debited from your account. Bank Statement (original or certified true copy of bank statements/passbook for the last 3 months). I requested a certified true copy from BPI too. It costs Php 100 as well. Photocopy of ITR (Income Tax Return) or Form 2316. Companies usually release this final week of January through first week of February annually. Starting today, July 1st 2018, Company Alphalist (Form 1604 CF with BIR received stamp) is no longer required. It may only be requested as an additional requirement for some applicants. Starting July 1, 2015, all visa applicants who have travelled as tourist to Korea at least once within 5 years will be exempt from submitting ITR copy. Processing time will also be reduced to 3 working days. They are still required to apply at Window 1 or 2. Note: These are the requirements for Filipino employees. If you fall into a different category, please check this link. I have visited a few of these agencies websites to check their visa processing fees. So far, it ranges from Php 800 to 1,000. After compiling all the requirements, I'm sure you are excited to go to the embassy and submit all these documents. Now what's next? You already made it to the Embassy. The first thing you have to do is to get a Guest Pass from the guard at the Entrance. You have to leave an ID in exchange of one and sign in their log book. Once you get inside, get a queue number. On the right side, there is a queue towards a desk with officers inspecting documents. That's it! Fall in line to get your number. They will determine which Window you'll be assigned to. You just have to wait for your turn on your designated window. Window 2 are for applicants without previous OECD visas and Window 3 for those who had them. I was assigned in Window 2. When it's your turn, just give them the documents along with your queue number. They will inspect it and if they're satisfied with it, no questions will be asked. They will immediately give you a claim stub with the date when you can get your passport back. I was like, that's it?! It was easy breezy! I can't believe I'm done in 20 minutes! I entered at 10:05 and was out by 10:25. Daebak! *Extension may apply depending on the Consul's decision. It'll be the exact same steps as the Application process, #s 1-3. Except for #4, when you get to the window - it's time for you to get your passport back. This time with your visa! They were so consistent. I finished everything in 15 minutes! I went in at 3:15 PM, I was out at exactly 3:30 PM. Awesomeness. Before you leave, check if everything is correct in your visa. From EDSA, you can reach the embassy in two ways. From Guadalupe MRT Station, look for the jeepney queue going to C5 or FTI. Just tell the driver to drop you at the Korean Embassy or McKinley. You will alight right in front of the embassy. From Ayala MRT Station, take BGC Bus to Market Market (terminal just a few steps from the MRT station) or look for the jeepney terminal with Market-Market route. It is located at the same street as the Ayala-Washington jeepneys at the back of Shell Gas Station. Alight in Market Market and ride another jeep with C5 or FTI signboards, then follow the rest of the instruction above after riding the C5 bound jeep. From the Embassy, just use the pedestrian crossing to go to the other side. Then you can already ride a jeep bound to Market Market (where you can ride the BGC Bus or jeep to Ayala) or a jeep bound to Guadalupe/EDSA. Application Form should be printed in A4 size paper. Validity starts on the date your visa is released and it's valid for 3 months only. 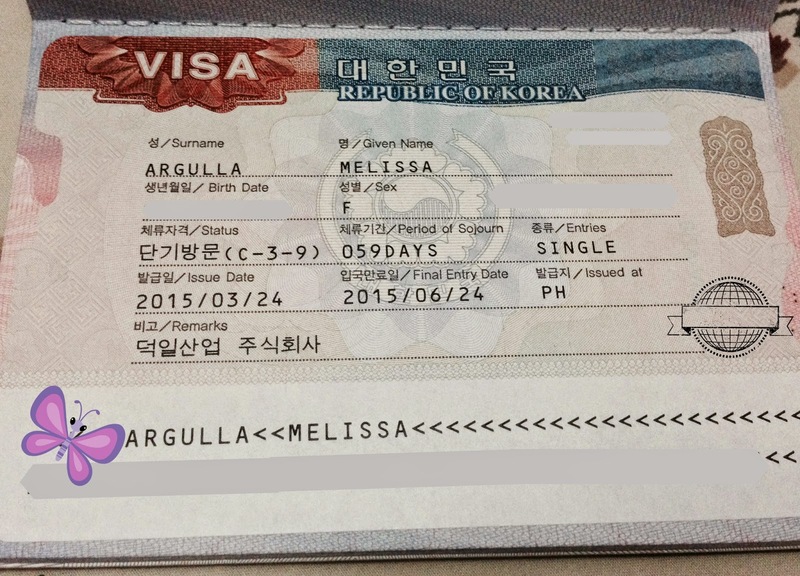 Do not apply more than 3 months prior to your date of arrival in Korea. You can do the application and the claiming of passports for someone else. No authorization letter or anything of that sort is needed. I was the one who submitted and claimed for my brother as well. Make sure you have ALL the required information in the documents you will submit. I don't see any reason why they will deny you if you strictly followed their list of requirements. My brother has no previous international travel history. It'll be his first time to travel outside the country, but he was approved. His bank account hasn't been opened for a long time too. It hasn't been 6 months old even. And yes, he was approved. Don't be put off by the 6 months ADB requirement in the bank cert. I've been getting questions if it's okay to use your Payroll Account for the bank cert. My answer is yes! That was what I presented. I think, as long as you can prove that you can finance your trip and that you have a stable job here - you will be approved. Applicants, especially the First Time travelers, are advised to personally claim their visas. An interview with the Consul may be required before the result of the application is given. Hello miss Lizzie. Do I still need to pass Bank Cert if I'm about to pass payroll? Please reply. Thank you. Hi Aeji! Yes, required po ang Bank Cert regardless kung payroll account or hindi. It's a must. I was denied of a visa a few months ago though I completed everything. I even have an oecd visa but to no avail. Im getting frustrated because I really want to go. Im planning on applying again but scared to death to do it plus I am new to my current job. I'm a PR in Canada and have a ME visa in US too although di ko pa nagamit.Uuwi ako ng feb sa pinas and may tiket nako sa korea ng march 1 (roundtrip pabalik sa pinas so ewan ko kung considered ako as transit kasi babalik pako ng pinas) And one week lang yung time ko to apply for the visa. Feasible kaya yun? Tapos wala akong ITR kasi ditto nako nagwowork sa Canada? Parang nakakatakot kasi dahil di ba Feb 25, 2016 is a holiday sa Pinas tpos plan ko magsubmit Feb 22 tpos ung trip namin is March 1 na. Tanong ko lang po pano kung urgent talga na kailangang pumunta ng korea lc ung kapatid ko buntis at may 1 yr old pa syang anak at ung work ng husband nya monthly kung umuwi at di nmn nya pwedeng kunin parents nmin sa ngayon..wala din po akong current job sa ngayon..ao wala akong COE AT ITR.possible po ba na madenied ang visa ko.? I'm sorry to say but yes, very possible. Your personal reasons won't matter to the consul. You really have to provide them with all the requirements. Please read their list of required documents. If you can't provide all of them, your chance of approval is very low. Goodluck! Hi. What if I just opened a bank account last week ang transferred all my money from my payroll account to my new account? Will they accept my bank statement/bank certificate kasi it says it needs to have an ADB for the past 6 months and also transactions for the past 6 months. Also, the amount naman sa account ko is quite high. Please help. Thanks. Hi Joan. Definitely! Based on my experience, walang interview ang pagkuha ng Tourist visa basta complete requirements. Pero pag personally invited ka ng BF mo, you have to present Invitation Lettter and Photocopy of invitor's Passport or Identification Card (authentication not required) as well. Yun lang ang difference. Goodluck! Hello po, what if employee po ako pero may aattendan po akong conference sa korea? all-expense paid yung magiging trip ko dun. Any advise po sa pagprocess ng visa ko? :) Thank you, sana po makareply kayo. 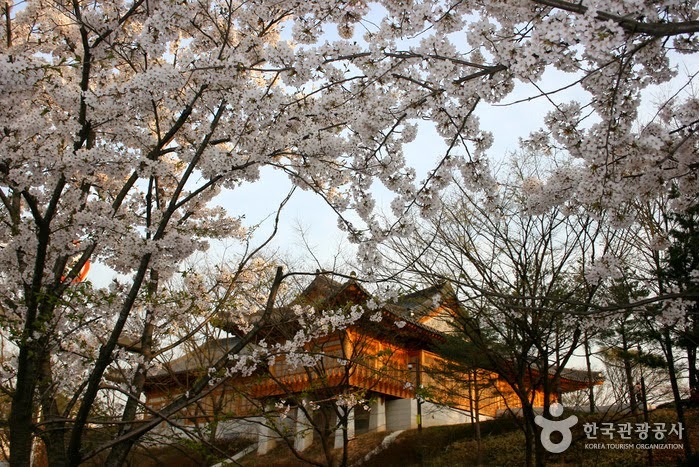 These documents will prove your purpose and intent in visiting Korea. Invitation Letters usually state that the company will cover all the expenses incurred for the trip. Hi! ask ko lang po if alin much better na ilagay as home address sa application form since I have 2 address, one is provincial and the other one is city address? many thanks! Wala pong specific amount required, basta kayang i-cover yung expenses ng trip mo. Good morning . Ask ko lang po , i have a payroll account which is the savings account sa BPI.. Regarding lang po dito ..
7.Original Personal Bank Certificate (must include account type, current balance, account opening date, ADB) I had no problems getting all these accomplished with BPI. They charge Php 100 for bank cert. It will be debited from your account. 8.Bank Statement (original or certified true copy of bank statements/passbook for the last 3 months). I requested a certified true copy from BPI too. It costs Php 100 as well. what if number 7 lang yung mayroon ako dahil savings acct lang naman ang mayroon which is yung ATM payroll acct ko . paano ako makaka avapil nung number 8 na bank statement kung wala akong passbook? will they issue also a bank statement even if the only account i have with BPI is my payroll account? How can I avail the bank Certificate and bank statement mentioned above po ? can I have these two documents even if the only account I have with BPI is savings account which is my payroll account? That's fine. Just request for it, they can give you both. hI THERre, my BPI Bank cert doesnt include the opening date and ADB.. The teller says they only issue that system generated bank cert and that is the only content they can provide.. how about others po? Hi. Ask ko lang, 3 months ung kailangan sa bank statements. I hava a BPI savings acct, can I get both bank cert and bank statements same day. Alam ko same day makukuha ung bank statements kung 60-day period lng need mo. But for 90 days? Hello Cris. I highly doubt your visa approval kung ang makikita nilang amount sa bank account mo ay hindi enough to cover yung trip mo or kung ilang days dineclare mo na stay mo. It really matters. :) But there's no harm in trying hehe. Hi Valentina. I can't certainly say whether you'll be approved or not because I always, always follow what is indicated in the Embassy requirements to make sure I won't get denied. Every time I go to the bank, I bring a printout of what exactly is in the Embassy checklist so I won't have problems about missing pieces of info. But that was just me, because I wanted to get things right in just one shot hehe. Hi i heard a lots of denied visa application. My personal account is quite big because my bf put some money there. Hi po,Jasz J: ask ko lang nag apply ka na ba?approved ba?like you, it will be my first time to travel din kasi. Hi! 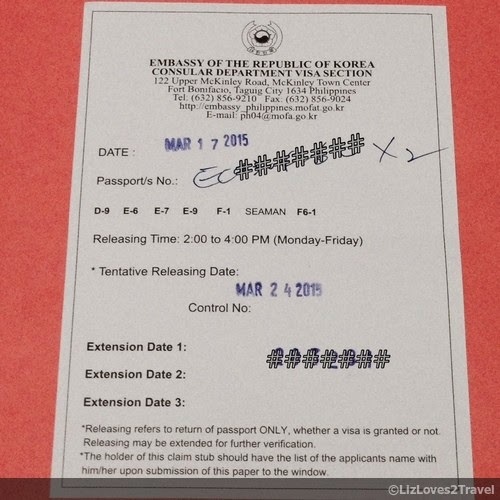 Do you have any idea if paano magpa-reconsider ng denied visa? My boyfriend and I just got denied, and the reason was unable to prove purpose of entry. All our requirements are complete naman. :( We're waiting for my boyfriend's parents visa result on Monday, hiwalay kasi kaming nagpass ng requirements. Sad thing is may tickets na kami. We're planning to go there first week of March. I hope I can hear from anyone who tried to appeal for Korean visa. Thanks a lot! Sorry I had no first hand experience regarding your concern and I won't be able to comment because though you said your requirements are complete, I don't know if the contents are deemed acceptable sa Embassy or not. Kase as far as I know, as long as what you provided exactly what they require, you'll be approved. Let's wait for other readers to share their experiences which can possibly help you. I got my passport yesterday. I let the agency process it. I submitted the requirements in the travel agency Feb 5, 2016 yet the date stamp embassy received it was just Feb. 12, 2016. The agency didn't process ahead and the embassy released it Feb. 15, 2016. There decision to denying was so fast, right? Anyway, It saddens me that I got denied :( Same case as you, the reason was because I failed to prove purpose of entry to Korea. this really bothers me because I submitted all the necessary documents. I even submitted the flight itinerary and hotel confirmation yet denied. I even obtained a Japan visa and so I didn't submit ITR as it's stated that frequent travelers are exempted on submitting ITR. Agency said that my case is unusual. :( They said it might be better to personally visit the embassy and reapply. Honestly, I'm torn between giving up and giving a shot coz I have to collate again all the docs yet there is no guarantee that I will still be entertained there. I had the same case. I applied last March 23 and claimed my passport earlier. I attached all necessary documents including my entry stamp when I visited Japan last year. The reason my application was denied is because I failed to prove the purpose of entry to Korea. The officer in charge explained that we (my family) are not financially capable for the trip. I don't know how much they want to see in our ADB. I have $3200 as ADB and my mother have Php120k. I made a call to the embassy and they said that they don't make re-consideration and I can re-apply after 6 months. Sadly, we already had roundtrip ticket to Incheon and hotel accommodation for 4 nights. That's sad. :( Yeah, as far as I know, they don't accept appeals for denied visa. You really have to wait for 6 months. It also made me wonder because my brother only had around 70k at that time and it was his first travel abroad ever but he got the visa with me. I hope you can still refund your tickets and hotel bookings. I also have the same dilemma. Bf and I applied for tourist visa; I was approved while he is denied. 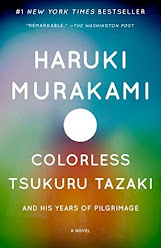 I've traveled to Japan last year (OECD) but he hasn't. He is currently a student (first trip abroad) and we've complied all docs for students visiting Korea. Applied through an agency (Sharp Travel) that was referred to me by a friend who flew there in 2014 (there were 5 of them, all approved). As far as I know (and I have checked more than twice) all of his docs are complete. Balance on bank cert is above 50K (parent's documents). Denied for the same reason- Failed to prove purpose of entry to Korea. I just cant wrap my head around it yet coz tickets and hotel are already paid for. Seeking help of agency now what else we could do to reconsider it. if anybody can provide tips, please do. We will appeal for his case. Hmmm... seems like Korean Embassy became stricter with visa issuance lately. Though I can't say if how they're handling applications from agencies is any different from direct application. You're the second reader who stated about a denied application processed by an agency. I'd say try it again since your tickets and hotels are paid! Sayang naman. But please do try to apply direct sa Embassy after reviewing all your BF's docs. It might make a difference. Goodluck and I hope he gets it on second attempt! hi, we are group from sumulong Baptist Church and the Baptist Bible Foundation Inc in Korea invited our church to join their 65 years anniversary. We are about 20pax going there. Our representative from our church was the one who brought our Docs to the Korean Embassy and to our surprise 4 of our member were denied of the VISA. The comments was YOU FAILED TO PROVE YOUR PURPOSE IN GOING TO KOREA... HUHUHU WE already bought tickets. That will be tricky since they already applied for that specific reason. Don't you think if will be more suspicious on their end if they reapply as Tourists the second time? I would say review all their docs and compare the differences from those that were approved. when you find the missing piece of the puzzle, rectify if you can then just reapply for the same purpose. Good luck to your group and have fun in Korea! Strict ba sila sa mga solo traveller tapos first timer? Although complete na requirements ko andun pa din yung kaba na baka madeny ako dahil sa reason na mag isa ako aalis tapos first time pa.
Got my passport today, Visa denied. due to failed to prove purpose of entry to korea. 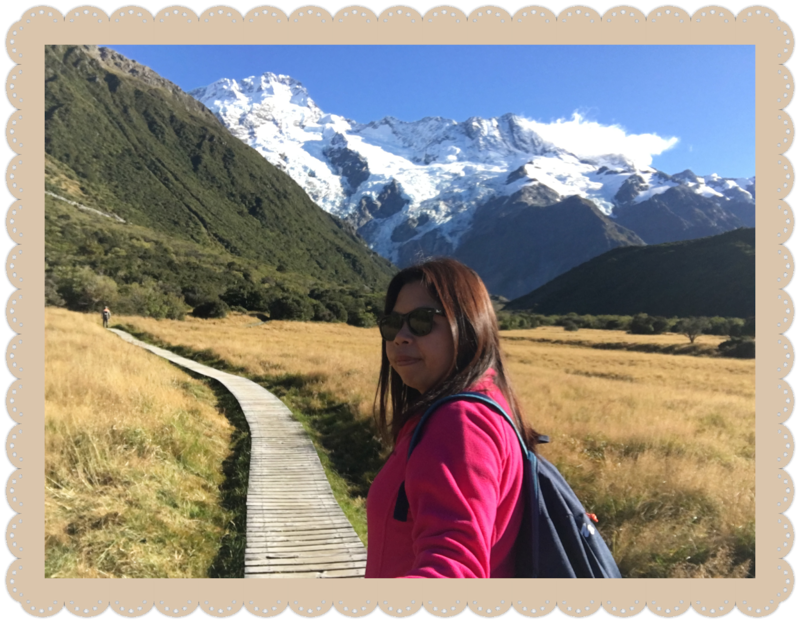 Solo traveller and first time outside the country. Hi. I have a Korean friend who is willing to give an invitation letter to us. I'd like to know, the letter should be addressed to us (I'll be going with my sis) or to the Consul of SK? Do you advise us to show the invitation letter even if we know that we are compliant to the requirements? Thank you and your reply would be much appreciated. Hello. I have no personal experience when it comes to submitting letter of invitation to the Korean Embassy but when I applied for a Business Visa to the US, my Boss from the States addressed the letter to the Consul. So I would assume it's the same. Thank you for the reply. I called the embassy. According to the receptionist, there is no standard or format to speak of in terms of the invitation;hence, any letter may it be email or formal letter will do. Again, thanks for the response and nore power to your blog! Hello again Lizzie! I have question lang, kasi my passport will be released 2nd week of March, is it okay kaya kung a day after kong mareceive ung passport ko, ipapasa ko na agad for visa application? does that affect kaya? You mentioned kasi na first time traveller din yung bro mo and he was approved. Also, ung sa ITR same lang ba sa form 2316? And kelangan bang authenticated ng BIR sealed or something. I have read in other blogs kasi. I hope for your response. Thanks! Hi! Of course, it's okay! Yup, 1st travel nya yun abroad ever and he was approved! Yes, same lang po yung ITR and Form 2316, like nung nasa 2nd pic ko sa taas hehe. No authentication or seal needed. Mine isn't. It came from our HR Dept, so of course it's valid. It should just be signed by your Employer and yourself. Thanks for the tip! Anyway I just got my requested COE, should it be addressed in Korean Embassy? It is addressed to my name kasi. And does it still need to be on an envelope? hello po, ano po ilalagay sa National Identity No. sa Korean VISA application form? Hi! Wala po. Filipinos don't have National ID. Hi. You can put anything you want naman for the number of days kase for 1st timer usually ang binibigay naman talaga ay 59 days single entry. I just can't ascertain if maa-approve ka or not based on your show money. To give you an idea, on our 4 days 3 nights trip, between 30-35k each yata nagastos namin. Excluding airfare pero with some shopping na yun. Shempre magva-vary rin kung gaano ka katipid hehe. Hello. Tulad po nung isang reader na nagshare sa taas, regardless po kung may invitation letter kayo o wala, yung visa approval nyo ay dun pa rin ibabase sa sarili nyong capacity which will be documented dun sa 10 listed requirements nila. For OFW, siguro po much better kung may mapre-present kayong other proof like kung may new contract na po kayo from your (new or old) employer. Frankly speaking po kase, medyo red flag pag unemployed. Magiging suspicious po sila na baka maghanap kayo dun ng work or hindi na kayo bumalik. Hi,waiting if granted or not.kinakabahan ako,any idea po?nagpasa ako req except sa form 2316.kastart ko lang kasi ng work nung nov 2015.3 months pa lang ako employed.also yung husband ko ay e9 visa. Denied po ms lizzie :( failed to prove purpose daw may nakaipit na papel,dont know why ..100k+ nasa bank account. Awww...Sad to hear that. Maybe because of the missing ITR? Was hubby approved? Lot of denials lately. Parang naghigpit yata sila. Sad. Same reason failed to prove purpose...???!!! Already been to other se asia country for tour...The heck..
Waaahh sorry to hear that. It was actually really strange hearing about numerous denied applications lately. My friend who was with me the last time, reapplied for another visa because he is returning to Korea to tour once again but he was still approved. He's also single and this time actually traveling solo. He hasn't been to many countries either. Hi po, payroll account po yong ginamit ko,ok lang ba kahit bank statement lang kasi i asked for a bank certificate hindi po daw sila puede magbigay kasi payroll account daw po.,chinabank po kami. Hello Jayla! Both are required by the Embassy po, so I would suggest to submit both. Sa dami ng recent comments lately na nadedeny I wouldn't risk submitting incomplete documents. Maybe you can talk to the Bank Manager. Sila lang narinig ko na hindi nagbibigay ng bank cert for payroll. Even the leading banking companies do. Sorry to hear that, Ern. Itinerary, airline tickets and hotel bookings are not included in the official requirements to begin with. In fact, the staff checking the docs before you get to the Consuls' windows are even removing those papers not included in the requirement list. Hi.. ask ko lang po.. may advantage b kng bukod s bank statement m ay may credit card kapa? And kng ilalagay q reason ay magtotour lang tlga aq pero the truth is gsto qng bisitahin ung husband q n nagwowork s korea. Kc ung issma q p ung bank statement nya bka kc madeny aq kc kakaunti ung laman nun. Kaya sna papalabasin q nlng n magtotur aq ng solo dun and d q n ssvhn ang totoong intention q..
Hi! For Korean Visa, not really. Kase hindi po talaga sya required. But you can bring a copy of your CC statements just in case the Consul asks for additional/supporting documents. But I highly doubt it. If you are employed, then by all means go apply as a Tourist. If you are not, it is better to declare the real purpose of your visit. You haven't mentioned if you are employed or a housewife and if you're husband is Korean or not. So it's hard to give a concrete advice. finance ng trip ko? Or enough na ang Bank Certi ng both? Or okay lang Father ko nalang? 2.) re: ITR, both my parents are professional and self employed, what should i submit then? And ang ITR kailngan talaga na at least 3 months kinuha sa BIR upon submission ng application for visa? Or okay lang kahit beyond na as long as you have ITR? How about Mayor's permit? Business permit? I doubt they have this because they are lawyer and dentist so kailangan ba nila ng ganito? Sorry i have no idea about this BIR stuff i need guidance what to submit so that i could ask my parents properly. 3. My trip will be on November 2016 pa, is okay to ask as early as May for a Visa? Or better july or august na? Please do help me, i am afraid i might get denied. I have been to other countries naman but im with my family, this is my first time travelling outside the country without them but my parents esp. My dad will still finance my trip as his advance gift for me on my 25th birthday. Pls do help me. 2) ITRs are being released by BIR once a year, usually every January or February. Got my 2015 ITR last month. So, no. The "at least 3 months" perception that you have does not apply with ITRs. I don't know where you got that. Sa bank statement lang po yun applicable hehe. BTW, ITRs are for employed lang (if they are working for companies they don't own). Don't confuse it with the requirements for self-employed (say if they own the clinic or the law firm). That's the time you have to submit their Business Reg and Permit. 3) Wow ang tagal pa ng trip mo! Validity starts on the date your visa is released and it's valid for 3 months only. It's too early to apply for a visa! Depending on your date on November, best time to apply will be August or September. Thanks you for the info Lizzie. I am planning to submit my dad's 2 bank accounts kasi hinahati-hati niya kasi yung paglalagyan niya, better siguro no para at least makita man lang na kahit papano may laman. Siguro sa Mom ko nalang rin, para more chances of being approved. I am planning din nga na magsubmit ng other supporting evidences like copy ng car reg ng papa ko, and land title na naka name sa parents ko and sa akin. Okay lang po ba? Or OA na? And for official use only just leave it blank? Hello and Happy Easter as well! Field 1.2 po is for Chinese Name, not applicable for us Filipinos. Disregard it if you don't have any. Please don't write anything on the "For Official Use Only" portion of the form. Goodafternoon..im happy u response to my question..one thing i notice its written in chinese..i will be funding my travel expense on 10.2 can i write MYSELF ? And on 9.1 purpose of visit to korea theres no enough space on OTHER if i write 2 sentences for purpose of visit..
Re 10.2, it says there including yourself, so the answer to your question is YES. Notice #1) If extra space is needed to complete any item, record on a separate sheet of paper or submit relevant documents which could support your application. Hi, would like to ask if yung 100k plus ba sa bank cert is okay na. Para ma approve yung visa? My husband and I would like to travel sana with our 2 kids. My eldest is 16yrs old while my youngest is 7.. Now yung husband ko lang ang my financial capability since sya yung nag wo work as a bank officer. Housewife lang kse ako. So lahat ng documents na ipapasa ko is sa knya naka pangalan. We only plan to stay there for 3nights/4days lang nmn.. Do you think enough na yung 100k+ para ma approve? Sayang nmn kse naka booked n ako ng ticket.. Please answer my querries.. Thank you! Hello. I can't give you an assurance that you will be approved or denied. Based lang po sa mga nagcomment na sa taas - yung iba sa kanila 100k plus ang budget nila for themselves only (solo budget) pero nadeny pa rin sila. What more if 4 pa kayo na magsheshare sa 100k plus. Also, only your husband is working and only his papers will need to prove your capability to travel as a whole family. I have no right to say outright that you'll be denied. All you can do is try na lang din po. Free lang naman to get the visa so better try or you'll never know at all. Goodluck to you and your family! Do PRC license ID can positively affect my Korean tourist visa application? and what my COE indicate my hourly rate than in a monthly basis compensation do you think it will affect my application? It is really one of the requirements so it wouldn't have that much effect. Re the salary in your COE, I'm not entirely sure about it. Mine reflects my gross annual income. Best of luck! one more thing ms.lizzie....i just want to asked po, kc im planning na isama ko ang kapatid ko at nanay ko sa SK this December. ung kapatid ko is student and unemployed ung nanay ko..what will be the needed documents?? Para sa kapatid mo check #16, for your mom I think suitable yung #15 since she is unemployed. Then if you will be the one funding their trip, submit your bank docs instead. Hi! ask ko lang opinion mo, yung bank certificate ko kasi from BDO, yung standard bank cert na ni-re-release nila for visa puroposes, complete lahat ng required info na hinihingi ng embassy except for the account opening date. :( walang nakalagay. pero other than that ok lahat nung info na nakarecord dun, yung balance at ADB is confident naman ako. For a brief history, kagagaling ko lang ng Japan tour last december so maganda record nung bank ko. sobrang nagwoworry lang ako na walang naka indicate na account opening date yung certificate ko. :( tingin mo? will it still matter? i-risk ko ba na ipasa yung bank certificate ko? or any suggestion para sa bank cert ko? pwede kayang i-ask ko nalang yung BDO thru fone para sa info ng account opening date ko and isulat ko nalang dun sa bank cert as added info? advice naman po please. Sa monday ko na balak mag apply eh, april 11. I got married late 2014, my passport and all my pertinent info have been updated to my married name already. However my itr for 2015 has not been updated yet to my married name and it is still for single exemption. Do you think this would be an issue on my visa application? Hello! Sorry, I am not sure about that. Still ITR is a major requirement so there's nothing you can do but submit it anyway. Don't worry, consuls review all the documents to make sure you deserve a visa. Good luck! Hi. Im unemployed and i dont have COE and ITR. But i already have bank certificate and bank statement to my saving account. Ok lang kaya kung ipapalit q sa Certificate of employement is my certification of Enrollment in korean langauge? MerOn dn akO invation letter from korean. Tourist visa korean's sister/brother in law ung visa na iniaaplyan q. No, I don't think it's okay. There's no way a COE will be replaceable by an enrollment certificate. They prove two very different things. If you can't submit a COE and ITR you should focus on providing them a valid document to prove them that you can finance your trip and that you won't stay there illegally. It's very crucial for visa application. Hello Mika. There's no other way kase siguradong denied pag wala kang prinesent na bank account. It's better to try than to not know at all. Goodluck po. Hi Lizzie, approved :) grabe, nakakakaba until the last second! Ang laki ng kaba ko kasi I'm traveling solo and it's my first out of the country trip! Ilang taon na po kayo kasi ako din po mag a-apply nyan im getting scared kasi nga the fact na im only 18 and it's my first out of the country trip ig(kung magkaka visa). Hello ask ko lang if they will ask kung may plane ticket na kayo ganon.Thank you. Hi Cielo. Nope, there will be no questions like that. Plane ticket is not a requirement anyway. Just strictly follow the requirements and you're good. You're welcome. 1.) Hello po! I just want to ask kasi everytime I have my salary, kinukuha ko ang pera ko sa account ko. And now na malapit na akong mag-apply. Days ago, I deposited money sa account ko magkasunod yun. Kaya ang ma-reflect sa bank statement ko magkasunod na malaki ang na deposit ko na pera. Baka magtaka sila na biglang lumaki ang account ko. Is there anybody here na same ang situation ko and visa got approved? Need feedback. Thanks! 2.) What if employed ka and magtravel ka ay magpapa-finance ka pa sa parents mo. Ano po ba ang mga requirements? Thanks. I just wrote "undecided" when I applied. Wala naman naging problem. Confirmed hotel booking is not a requirement so it's fine. 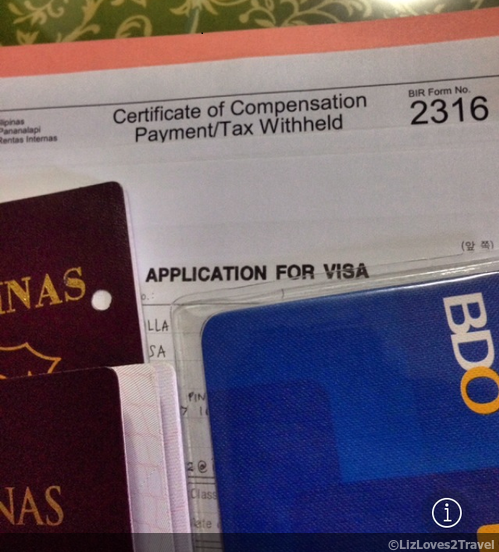 do i need to have my BIR form 2316 stamped/certified by either BIR or our HR rep? some people are telling me that I need to have it stamped. But BIR told me they do not do that as well as our HR payroll rep.
Nope. Mine wasn't sealed nor stamped. And I don't think they do that. As long as it's signed by you and your HRD, it's valid. Mine was accepted by the Embassy without those and I got a visa. Hi, you mentioned that your bank documents are from BPI. When I requested for a bank certificate, I noticed that the only detail indicated there is the current balance as of date. When I inquired if they could also indicate the opening date and the 6 months ADB, I was told that the current balance would suffice and that their format is standard. Did you not encounter problems with the bank certificate issued by BPI or were you able to customize the format so that all necessary details would be reflected? Yes, it was the only thing reflected in the bank statement given to me. I'll just return to the branch and insist that I really need to have the bank certificate customized based on the specifications of the embassy and tell them that the bank certificate originally provided has been declined due to insufficiency of details. Hopefully they won't charge me another fee for the reissuance of the bank certificate. Yeah, I think you should try that. Good luck! The Tourist visa is only valid for 3 months? Is there any other way to lengthen the validity? will it be a problem if late filing ang itr ng parents ko? What do you mean? You can submit it or you cannot submit it? If you can submit it kahit late, then it's okay. If it's late meaning you don't have it yet, it "might" cause a problem as your requirements will be considered incomplete. Should I still write N/A kahit na No ang sinabi ko sa mga questions nila sa If yes? Thank you Miss Lizzie! Yup fighting!!! Hi, thank God I found your blog. I was very anxious po kasi if need to open a savings account coz i only have a payroll acct, it doesn't have a huge balance on it though. But my boyfriend is willing to finance my trip and transfer money on it. Do you think the Korean embassy would be suspicious if there will be a sudden deposit of huge amt? But i guess my ITR and COE can justify it naman. Thank you in advance. A payroll account will be fine, that's what I presented to the K Embassy. Yes, kung one time big time ang pag transfer ng fund it'll be suspicious. Make it gradual siguro para hindi halata. Wala kasing interview so you can't defend yourself out there. They will definitely base the approval on your papers lang so be careful to avoid any suspicion. That's just my 10 cents though. Good luck on your visa application! I only have Bank of Certificate from BPI with 25,000 and i just opened my account a few days before applying Visa. I dont have ITR and I used Religious Visa Application. And i was approved 3 days after application. Well, you applied for Religious purposes and not as Tourist so it is implied that you won't be funding your own trip nor you will be spending that much for the trip. Congrats anyway. Hi Honeylyn! You can include your boyfriend's Invitation Letter & Photocopy of his Passport if you intend to let them know you have an Invitor. Pwede rin naman to just apply on your own. Kung san kas mas confident na maa-approve ka, go for it! Very easy lang as long as you have all the requirements. Actually, kahit shorter than 2 mos ang ideclare mong stay okay lang. Kase if you will get approved, lagi namang 59 days single entry valid for 3 mos ang binibigay na visa pag 1st time visitor. They won't know din naman afterwards kase they don't ask for airplane tickets and hotel bookings. Wala ring interview. Hi Ms. Lizzie! I'm an OFW working in Kuwait. Magvacation po ako this coming October sa Pinas for 1 month and will a lot 4-5 days sana to travel to SoKor. Nakapagtravel nrn po ako s OECD countries as tourist. Bale may BDO account po ako na pinapadalhan ko monthly. By the time I arrive in October may sufficient balance na rin po ako siguro nun for my trip. I would like to ask po if yung BDO bank certificate is enough na for their requirement? Or I can bring also my Bank certificate and bank statement from here pero naka Kuwait currency. Another thing po, regarding s COE, iaccept po ba nila yung COE ko ditto sa Kuwait? Based on their requirement details, need yung company contact number, eh pag gnun po international number lang meron. I hope you can give me advise po. Since last year po nag sosolo travel nako obtaining visas from here. Kaya lng po ako hndi makakuha ditto ng Korean visa dito s Kuwait, may salary limit and sobrang malaki po ang bank balance na required nila. Hi Lizzie! My mom and I are planning to apply for Korean tourist visa this year. I am employed for more than a year and we have traveled to 3 Asian countries this year. No issues with our bank statements and current balance since yung main source of income namin galing sa kapatid kong OFW. My main concern is that my parents are both unemployed. Anong requirements ang dapat ipakita ng mom ko? Hindi pa ganun kalaki ang sweldo ko so if I will act as the principal sponsor I'm not sure if kapani-paniwala na I can shoulder all our expenses for the entire trip. Hello there. Actually, medyo tricky yung situation mo so mahirap magbigay ng advice. Kase if you will check the requirements for Housewives they really ask for the spouse's documents. What I was thinking was, meron naman FUNDING DETAILS sa form where you can declare who will pay for her. So you can put either you or your sibling - whoever is more financially capable. Then replace the husband's docs with the one who's sponsoring your mom. So same requirements nung sa Housewives, yung additional docs lang yung papalitan mo. That's just my take on it ha. If you want to make sure, try calling the Embassy to check if this is okay. So far wala pa kase nagshare above regarding similar situation. Hope it helps kahit papano. Hello good evening. Would like to ask a sort of advice. Last May my Tourist Visa for SK got denied. The reason was "I failed to prove the purpose of entry to Korea". I was wondering after I got my passport with a piece if paper stapled inside it if what else do they want me/us to prove. All documents of my boyfriend (foreign invitor working in Korea) and I were complete. Or maybe I checked the wrong purpose on section 9.1 of their visa app for? I checked there "visit family/relative/friend". Maybe I should have checked the "Other" so i can elaborate my specific purpose? Please help po kasi nakakalito at I will re apply on November this year. Thank you so much for reading this and hopefully get a response. Hi.Even I got confused hehe. Well, what really is your intent in going to Korea? That's the basic question that should be answered first to fill out the form correctly and for the Embassy to determine if your purpose is valid and if your documents suffice for the intended purpose. Hello. Please make sure ALL the required details that needs to reflect in the COE is complete. They won't request for additional documents if they are already satisfied with what you submitted. travelling to Korea this October (last week) so I plan to apply for the visa in the last week of Sept/1st week of Oct. My problem is that I just opened my savings account last April so by the time I apply for the visa, my account will just be a little more than 5 months old (so it doesn't reach their requirement w/c is 6 months) Would that be a reason for them to deny my application, if ever? Thanks! My visa application got denied yesterday and it says "Failed to qualify for the visa you applied for" I applied as employed, w complete requirements ( 167k adb and 200k up bank savings) I dont know why I still got denied �� The purpose of my entry is "tourist and visiting relatives" since my brothers are working there. Hello there. I agree with Tammy Boy. You're personal profile is already good enough to be granted a Tourist Visa. You should have just checked one purpose which is Tourism. Wala naman interview so hindi ka maque-question kung ano talaga gagawin mo doon. It is really possible na they doubted your intention to visit since you declared you have relatives there. Better luck next application. Hi Ms. Lizzie. Thank God nakita ko to! Ask din po ako. We will be leaving sa Sept 18..
1.pde po bang ang bank acct e 5mos old lng sa pagapply ng visa? May AdB ksi na 6mos daw e. And 50k for a week stay? 2. Re ItR, contractual po ako ngayon, kkstart ko lng ng june. My ItR ako nareceive this year from my prev company na nagclose. Magrequest pa po ba ko ItR sa present company ko now? Alin po better ipresent? 3. Ano po purpose na chechekan sa form, Travel/tourist po ba? Papasyal lng po kami..
1) Yes, I guess it's okay. Yung sa brother ko before less than 6mos din wala naman naging prob. What's important is meron kang enough funds for the trip. Very safe amount na ang 50k for 1 week stay. 2) About ITR, once a year lang yan nire-release. So for now, you can only present yung galing sa previous company mo which is ITR for the year 2015. Hindi ka pa mabibigyan nung new company mo kase hindi pa tapos ang 2016. 3)Since pasyal ang reason ng travel mo, yung Tourism ang checkan mo. Hello! Sorry I can't give you a good advice on this. To tell you honestly, your scenario is really difficult. First of, red flag kaagad ang unemployment. Second, you can't apply under the Housewives category either because you're not yet married. I perfectly understand, wala kayong problem financially but it's hard to convince the Embassy with just that. Try to call the Embassy na lang po for their recommendation. Thank you. hi Lizzie..glad to have found your blog..i read every single comment..i have a question, too..we have submitted our visa application without signing/affixing our signature..(i know..please do not judge us..ahahaha)..all other reqts are OK..would that be a reason for the denial of our visa? thanks Lizzie..yes..super happy at naapprove! Question lng po. pwede po ba ung passbook mismo ung gamitin instead of getting bank statement? > Bank Statement (original or certified true copy of bank statements/passbook for the last 3 months). Awww... Sorry to hear that. With regards to this: The reason indicated was "you failed to qualify for the visa category". Curious lang ako what visa category did he apply for? May difference po ba ang documents na pinasa nyo? Yup, try to call them back kung hindi ka na ulit tinawagan. Baka kase may hihingin sila na additional documents. Sayang naman ang chance if ever.